Mr. Md. 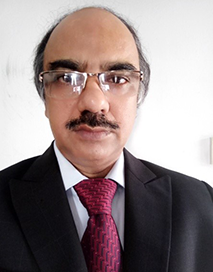 Ali Noor, Additional Secretary to the government of Bangladesh and a member of Bangladesh Civil Service cadre official started as an Assistant Commissioner and Magistrate. He worked in different capacities in the government organizations of Bangladesh. Among other positions, he served as Cantonment Executive Officer, Metropolitan Magistrate, Additional Deputy Commissioner, Chief Executive Officer, and Controller of Examinations of Bangladesh Public Service Commission. He also served as Joint Secretary to the Government in the Ministry. With a vast experience in field administration, he has been closely engaged in monitoring and supervising NGOs and other organizations. Mr. Noor is the Director of Microcredit Regulatory Authority in Bangladesh. As part of his present job, he is engaged in monitoring and supervising Microfinance Institutions. Mr. Noor holds an Hon’s and Master’s Degree in Sociology from the University of Dhaka, Bangladesh.